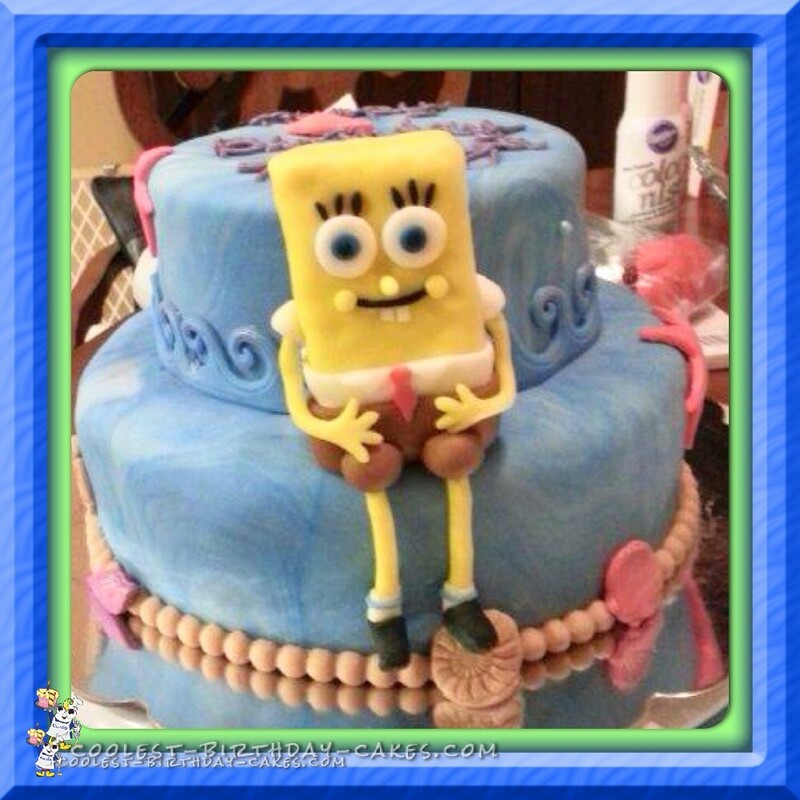 This Spongebob Squarepants birthday cake was super fun to make. It had an underwater theme and was decked out with Spongebob himself. The cake was two tiered and covered with mixed fondant colors to create a wavy appearance. The shells and waves were made from Wilton molds. Spongebob Squarepants was constructed entirely by hand out of a Rice Krispies treats and covered in fondant pieces. When complete, he was placed on the edge of the bottom tier. This was my first time making anything like this and I’m not going to lie; it was terribly frustrating at first. The payoff was completely worth it, though. The cake was for a young girl’s birthday and she cried with excitement when she saw it! This was one of my favorite cakes I have ever made by far.